Bhartiya Janta Party (BJP) today said the results of Uttar Pradesh Assembly elections fell below its expectations even as the party geared itself to form governments in three other states. "We are in a position to form governments in the three states of Punjab, Goa and Uttarakhand...I am confident that this result will give strength to the BJP," party president Nitin Gadkari told reporters in New Delhi. 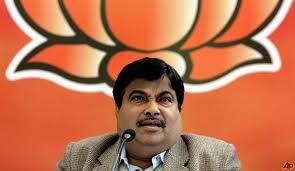 On the party's failure in Uttar Pradesh, Gadkari said there was polarisation of votes between the SP and the BSP. "BJP did not get the support we expected," he said, adding that the people of Uttar Pradesh wanted to change the BSP government and so supported the Samajwadi Party.